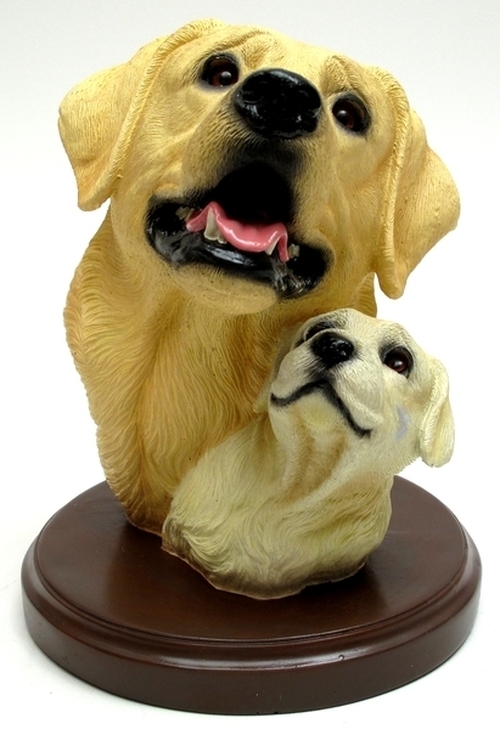 Living Stone Yellow Lab with Pup Bust on Base - Genuine Living Stone figurines are created by top artists and sculptors in this field. Using a resin based material and lifelike glass eyes, Living Stone sculptures are remarkably life-like. This collection is well known for its quality and authenticity. Measures 6.75"dia x 8.5"h.